QuintilesIMS’s Cristina Oliva talks to pharmaphorum about her personal highlights from this year’s European Society for Medical Oncology (ESMO) congress in Copenhagen. Cancer is without question currently the most important therapeutic area for pharma, producing some of the sector’s most exciting scientific breakthroughs and advances in treatment. Over the last few years, the annual US-based American Society of Clinical Oncology (ASCO) congress has been the place where many of these breakthroughs have been unveiled, but this year its European counterpart ESMO has provided the most exciting news. A huge total of 1,640 studies were presented at ESMO 2016, which was held this year in Copenhagen, including 47 late breaking trials and over 1500 posters. Picking out the highlights from this flood of data can be difficult, but there was a general consensus that new trial data from immunotherapy treatments were among the most notable advances. Dr. Cristina Oliva is senior medical director, Oncology, Therapeutic Science and Strategy Unit of (the newly-merged) QuintilesIMS. She was among the more than 20,500 people who attended the meeting, and picks out for us a few of her own highlights. She says these fall into a handful of categories: advances in immunotherapy; dialogue with regulators and novel trial methodologies to accelerate trials; the continuing rise of patient power and the first biosimilar cancer therapeutics. “This year’s ESMO was one of the most impressive I’ve ever attended, because there were several clinical trials which are potentially game-changers – there was a tangible excitement about these studies around the congress,” says Dr. Oliva. Dr. Oliva says immunotherapy studies were presented across a range of different tumour types, in different lines of therapy, as monotherapy and in combinations. In non-small cell lung cancer (NSCLC) in particular, there was some impressive results in first line treatment– anti- PD-1 immunotherapy pembrolizumab compared to chemotherapy showed significantly prolonged progression-free survival (PFS) and overall survival (OS) and fewer adverse events in patients with PD-L1 tumour expression, a very hard to treat tumour type. Pembrolizumab has demonstrated its efficacy not only as a first line-monotherapy, but also in combination with chemotherapy. These groundbreaking data will certainly affect the treatment options available to patients with NSCLC. Dr. Oliva says many of the data presentations and educational sessions at ESMO reflected radically new approaches to early stage trials. “That is the exciting part, and I think we can call this a revolution in clinical research,” says Dr. Oliva, and says this has also brought about a sea change in the approach of regulators, most notably the US FDA, but also Europe’s EMA. Clearly, regulators are trying to innovate as well, and novel methodologies such as adaptive pathways, basket trials and single arm studies are all being tried out. She also commended in particular on an educational session chaired by Dr Francesco Pignatti, the EMA head of oncology. 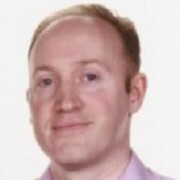 His ESMO presentation helped to spread the word about the EMA’s accelerated platforms, which aim to speed up access to new drugs, especially in orphan diseases. “I think that’s proof again of how clinical research is changing – all the different stakeholders are getting involved – regulators, clinical researchers, sponsors and also patients,” she says. 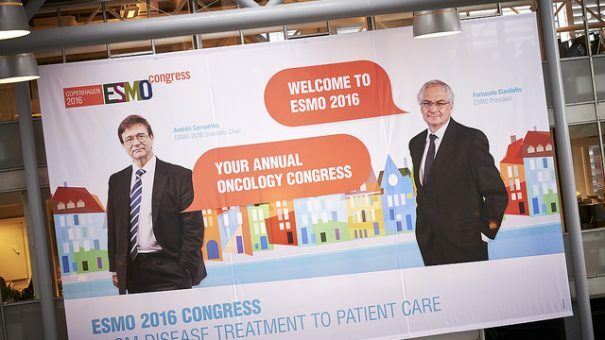 Another notable success of this year’s ESMO was how it managed to fully integrate patient viewpoints into its programme, something with which other congresses have struggled. Patient advocates are becoming more and more knowledgeable about new clinical trial methodologies, and are even considering how independently-organised clinical trials can be set up. Dr. Oliva says the greatest participation can often be found in rarer cancers, such as mesothelioma, (reflecting its need for multi-disciplinary management and treatment options) and sarcoma, where Dr. Oliva says patients have expressed strong views. Many pharma companies and contract research organisations are now working on a biosimilars, which are already bringing new competition to a range of disease areas – and helping to broaden access to these medicines. There haven’t been any biosimilar versions of cancer treatments until now, but that is about to change, and two trials of a biosimilar trastuzumab (Roche’s Herceptin) were presented in Copenhagen.